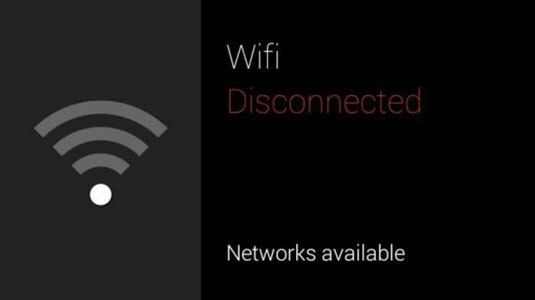 Google Glass automatically detects Wi-Fi networks in your immediate area so that you can join one of them. Many coffee shops, restaurants, and other businesses have free Wi-Fi networks available to persuade customers to stay a while, perhaps buy more products or services, and attract other customers to meet you at that location (and, of course, buy things themselves). If you’re at a location that offers public Wi-Fi service, such as at a coffee shop or airport, your Glass finds all public Wi-Fi connections near you. These connections don’t require a password for you to access their networks. Swipe backward on the touchpad until you see the Settings card bundle. Tap the Settings card bundle. The Wifi Settings card appears. Tap the Wifi Settings card to view all available Wi-Fi network connections near you. Swipe forward on the touchpad until you see the network you want to join. Tap the touchpad and wait for Glass to connect you to the network. Another way to join a Wi-Fi network is to use a QR code in MyGlass — a requirement if you want to join a secured Wi-Fi network that requires a password.